It highlighted a two to three-fold reduction in the ‘average return period, ‘ the average time separating two successive heatwaves, since 1878. 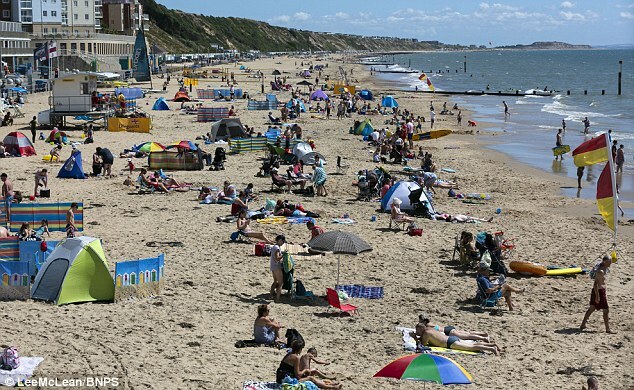 Lead scientist Professor Sandra Chapman, from the University of Warwick, said: ‘Heatwaves are by definition rare events, so that putting numbers on their frequency, duration and severity is a challenge. ‘However, as hotter days become more frequent, heatwaves will on average become more likely and longer lasting and if we have the data, this is something we can quantify. ‘How these temperature extremes are changing may not simply follow changes in the average temperature. The findings are published in the journal Geophysical Research Letter. WHAT CAUSED THE SUMMER 2018 GLOBAL HEATWAVE? 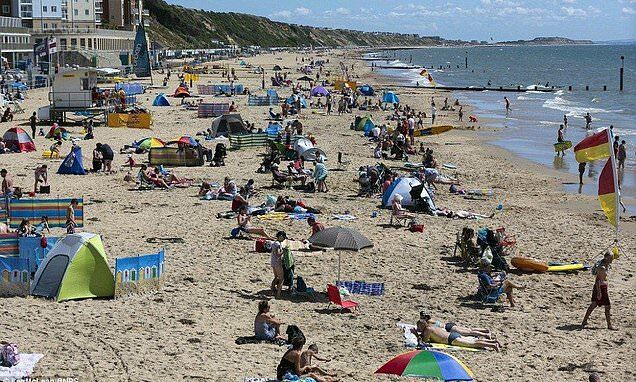 There are several leading theories as to what caused the global heatwave, according to University of Reading climate scientist Professor Len Shaffrey. 1. Climate Change: Temperatures are increasing globally due to the burning of fossil fuels increasing concentrations of atmospheric carbon dioxide. The global rise in temperatures means that heatwaves are becoming more extreme. The past few years have seen some record-breaking temperatures in Europe, for example the 2015 heatwave and the 2017 ‘Lucifer’ heatwave in Central Europe. 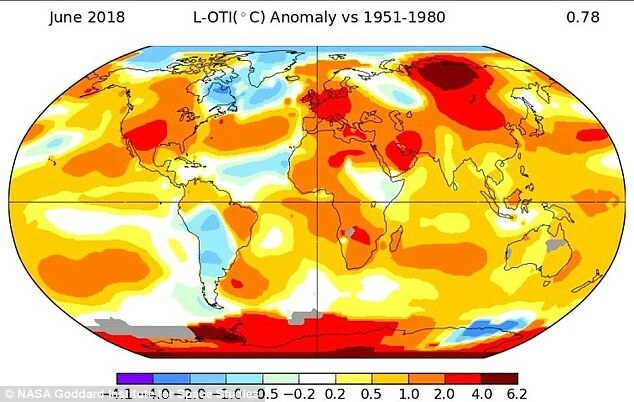 Unusually warm summer temperatures have been recorded elsewhere, for example in Canada and Japan, and climate change is very likely to have played a role here as well. 2. North Atlantic Ocean Temperatures: Temperatures over the North Atlantic Ocean can play a role in setting the position of the jet stream, which in turn has a profound impact on the weather we experience in the UK and Ireland. This summer has seen relatively warm North Atlantic Ocean temperatures in the subtropics and cold ocean temperatures to the south of Greenland. These are thought to be influencing the high pressure over Europe and pushing the jet stream further northwards. 3. La Nina: Every few years, ocean temperatures in the Tropical Pacific swing between being relatively warm (known as El Nino) and cool (La Nina). Since October last year the Tropical Pacific has been in a La Nina phase. La Nina is sometimes associated with cold winters in North Western Europe (for example the winter of 2010/11 and the recent cold spell in March 2018). However, this year’s La Nina had started to weaken around April and had almost gone by June when the current dry spell in the UK began. 4. It’s the weather: The above factors influence type of the weather get in the UK and Ireland but good or bad luck also plays a role, especially for very unusual weather such as the current hot and dry spell. This summer is no different and the hot and dry weather is partly due a combination of North Atlantic Ocean temperatures, climate change and the weather. Should weather patterns continue as they are then we might expect this summer will turn out to be as hot and dry as the extreme summer of 1976.